A high-end apartment building boasting panoramic city views, Washington, D.C.’s Sky House enlisted Delucchi Plus to help consumers overcome notions that D.C.’s Southwest neighborhood is inconvenient, dangerous and lacking retail, restaurants and nightlife. In addition, Sky House shared a target market with multiple competing D.C. neighborhoods. 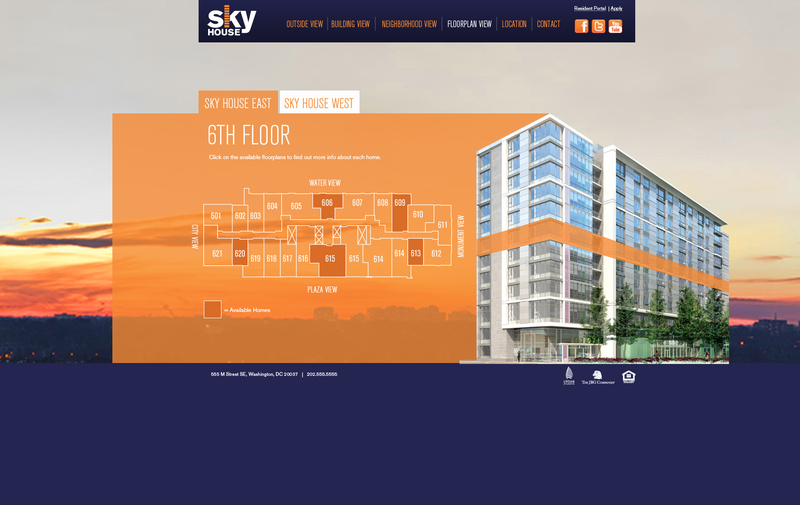 We needed to help Sky House stand out from the competition as well as demonstrate that living in Southwest DC was as convenient as living in the expanding residential areas of Northwest DC. 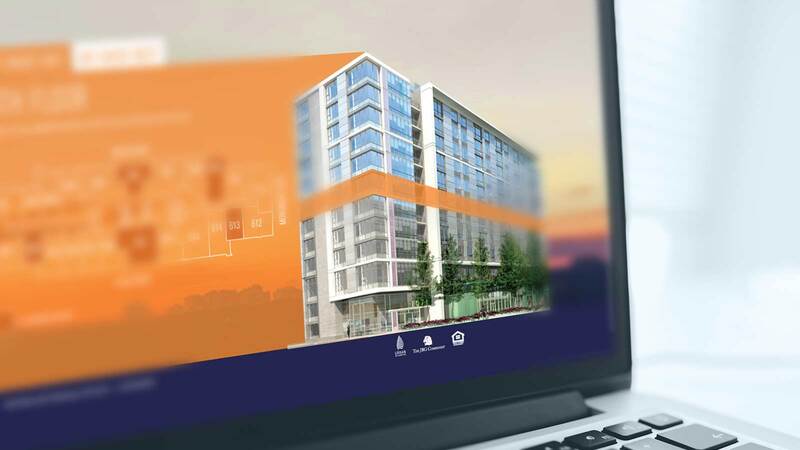 First, we created a brand identity for the property and brought that to life through collateral pieces and a unique website that allowed users to experience one of the building’s primary selling features — the Potomac River and downtown city views — from each floor and side of the building. 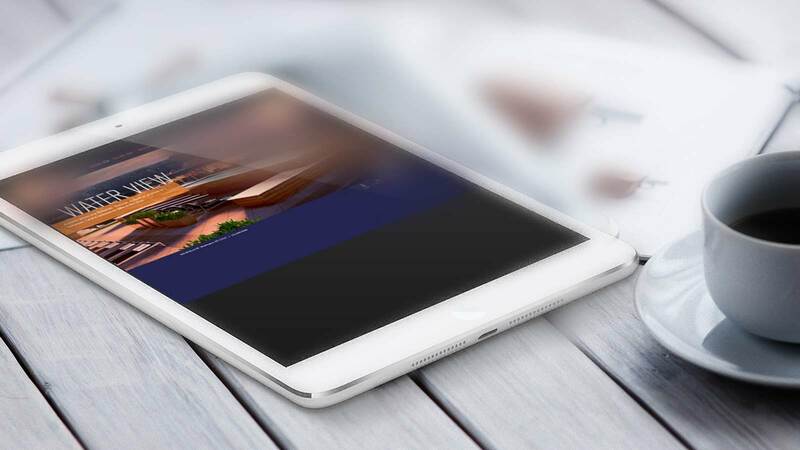 With this in place, we developed an integrated digital strategy including the website launch, eblast campaign, social media strategy, pay-per-click campaign and SEO strategy with customized keyword sets. Our content strategy was consistent across channels, including custom branded photography and a mini video series using GOPRO cameras. We supplemented our owned channels with an earned media push focusing on local bloggers and influencers, including a high-touch presence onsite through unique open house events that supported the overall brand story. 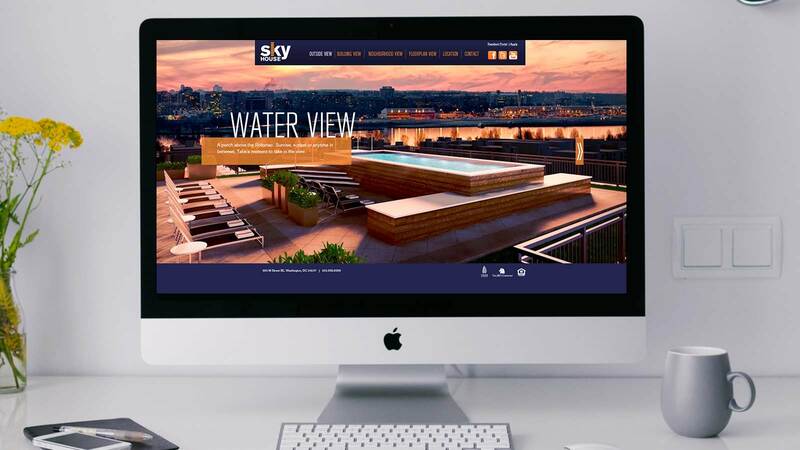 As a result of these combined efforts, the East building of Sky House DC was 96% leased within eight months of its opening, and the brand garnered more than 2,300 fans on Facebook, saw site traffic increase by 34% year-over-year thanks to paid search efforts, and saw organic site traffic increase by 31% year-over-year thanks to our informed keyword content strategy.